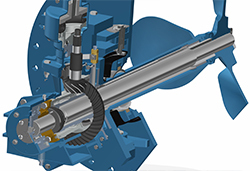 The Gear-Driven Side Entry Mixer Designed for Petroleum Applications. Want help selecting the right Jensen Mixer for your application? Click here. Download the Series 600 manual. Please enter your email address for link to download. Jensen Series 600 Mixers are heavy duty side-entry mixing units designed primarily for petroleum applications. In every horsepower range they offer superior life and load figures, unmatched ease of maintenance and outstanding mixing efficiency. Jensen standard materials offer optimum performance in any hydrocarbon application. There are well over 15,000 Jensen Mixers in service today. Go with Jensen and get unequaled experience combined with time proven designs that outperform and outlast all of our competitors. Propeller: Cast Carbon Steel (Option for 316SS). Custom-pitched by Jensen to fit your specific application. Jensen Series 600 Gearbox: The Model 600 gear box typifies the superior design engineering that has gone into every part of the Jensen Series 600 Mixer. Maximum gear loading is 54% of rated capacity. Bearings have been selected for extremely long life even in continuous, heavy duty service. The lower flexible coupling half provides rain and dirt protection for the upper pinion bearing. Internal air volume has been reduced to eliminate condensate problems in tropical and coastal areas.Gear case parts are of high strength, 356-T6 heat treated aluminum alloy. The body is of heat resistant steel to assure positive protection against product leakage under conditions of high temperature. Innovative Coupling Design: The design simplicity of the Jensen Type FT Non-Lubricated Coupling guarantees maximum life even under the most severe conditions. The tough, multi-ply nylon and rubber flexible element further extends machine life by isolating the gearbox from stress and vibration more effectively than any other coupling. 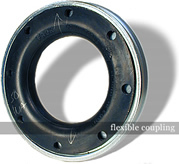 Steel clamp rings secure the element to the hubs and provide a protective enclosure. Complete coupling covers (standard on every JENSEN Mixer) afford further protection. Removal of the driver, gearbox or flexible element can be accomplished without moving hubs on their shafts. The lower coupling hub forms a protective cover for the pinion assembly. 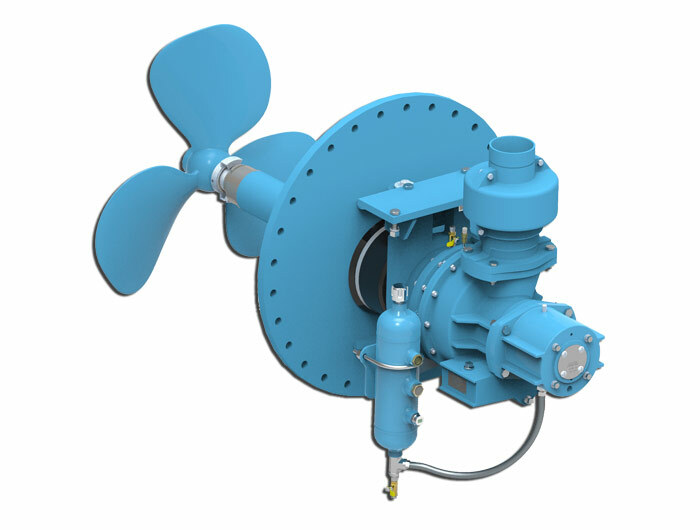 Efficient Propeller Design: The exclusive Jensen Pitch-Adjusted propeller is a highly efficient, three blade, marine type propeller precision set to your specific application and permanently fixed at our factory to assure superior mixing performance. Durable Seals: The Jensen Mechanical Seal is an integral part of every Series 600 Mixer and is designed for long life at low cost. Materials of construction were especially selected to suit petroleum applications. No Need for Additional Equipment: Hangs directly on your tank’s nozzle. No need for additional equipment such as tie rods and / or a base. Vibration-free shaft design: Ensures a long life to the mixer’s mechanical seal, gearbox, bearings, etc.